The intermediate trend is up for the TSX Index and the near-term trend is down. Resistance is located around the 12,800 level with support at 12,500. The energy and materials sectors, representing 45% of the TSX Index, are struggling and there is an increased probability that the TSX will test support at 12,500. 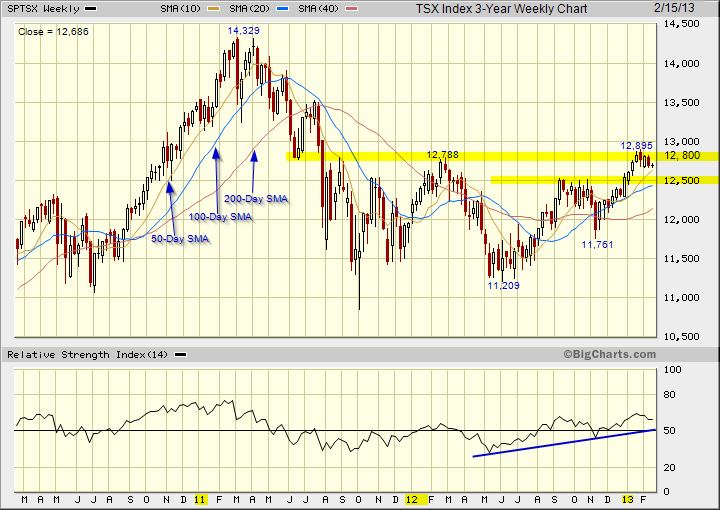 This entry was posted in TSX Index and tagged chart analysis, TSX on February 15, 2013 by Trader.